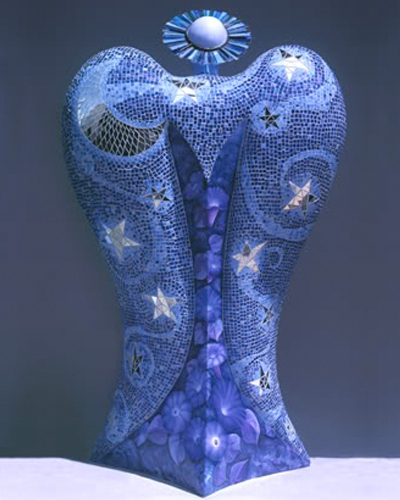 Presenting selections of mosaic art, including public art, art for the home and sculpture. Featured Image Above: Bathroom shower mural. 6’x4’mural total length 10′ and backsplash 5″x10′. Porcelain, glass, tile. 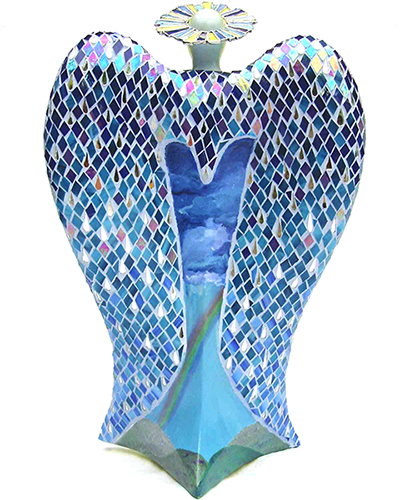 “A Community of Angels”. 6.5′ x 5′. Stained glass and mirror, acrylic. 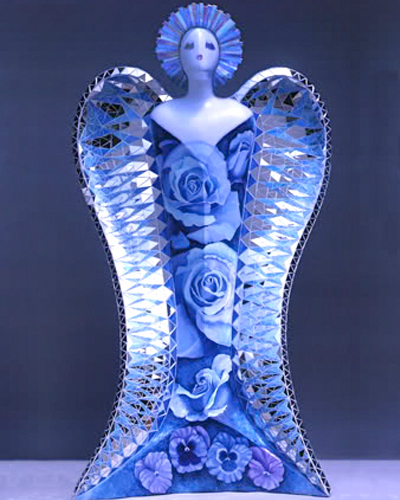 “Rain and Shine” 20″ x13 1/2″ Stained glass, mirror and acrylic. Portrait 12”X16” Marble and smalti. Work in progress in direct method. “Pear” 5”x5” Stained glass and travertine. 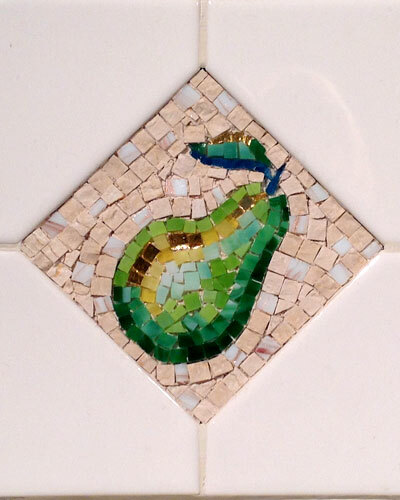 Backsplash tile accent or framed wall hanging. 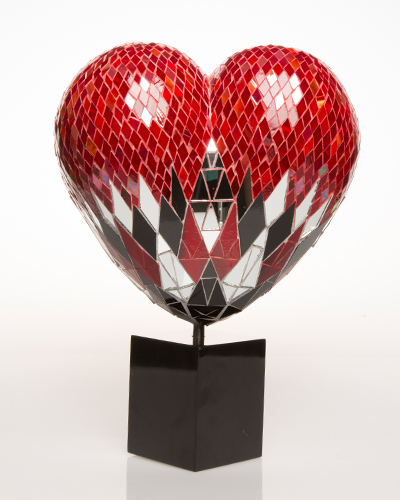 “Heart” 12”x17” on marble base. Stained and iridescent glass and mirror. 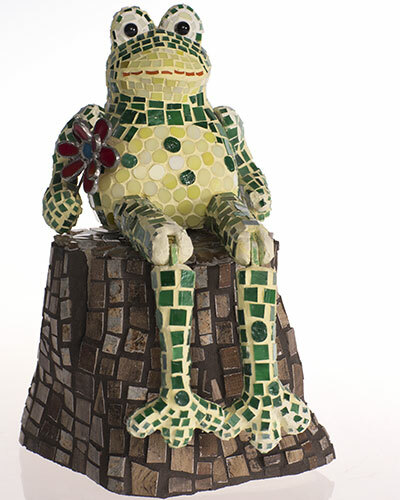 “Stop and Smell the Flowers” Articulated frog on stump – 2 pieces 10″x6″. 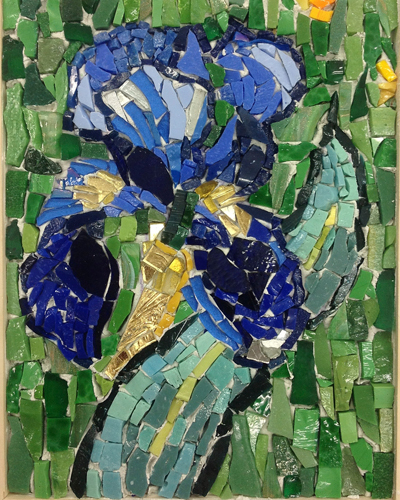 Stained glass on wood and porcelain tile on ceramic. “Iris” 7″x10″ framed wall hanging. Smalti. “Birth of the Universe” 8″x5″ stained glass on porcelain. 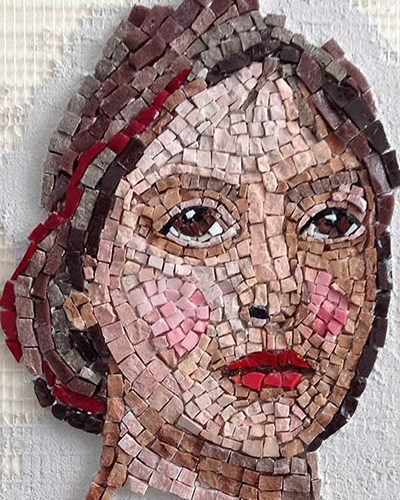 Mosaic Classes in West Los Angeles are starting in April. 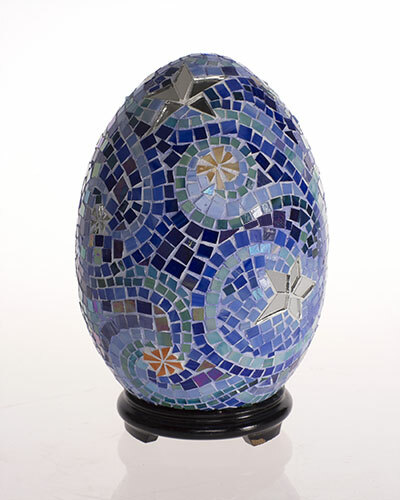 Get more mosaic art class details. 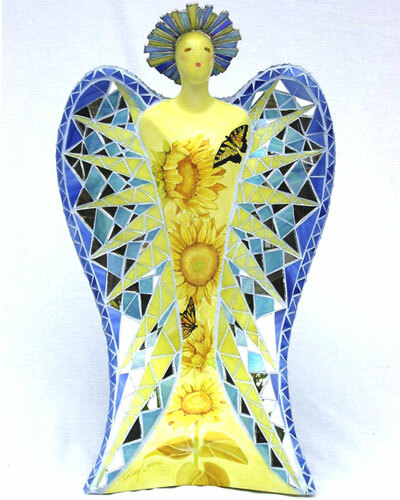 Tracey Corinne is an experienced mosaic artist and painter taking commissions on a select basis. 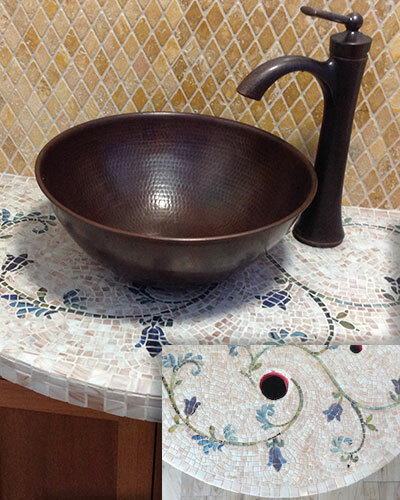 If you're an Interior Designer or doing a remodel, setup a consultation with Tracey for a mosaic that makes a splash!